Closed Circuit Television (CCTV) is widely used in business today not only to stop theft but to monitor staff welfare, public safety and monitor processes. There is a wide range of CCTV technology available from Static cameras, Pan and Tilt cameras, IP cameras, Covert Cameras to name a few, all aimed at meeting your specific requirements and budget. The systems will have a recording device whether that is a digital recorder or a video recorder. These devices allow playback, printing of screen shots and constant recording of the premises to ensure security. CCTV systems are usually installed in conjunction with an effective Intruder Alarm system to provide complete protection for your premises. TASK Security Systems have been installing CCTV systems for over 40 years, as Ireland's longest established Security Systems supplier you can rest assured that all our systems are of the highest quality and installed to the highest industry standards. 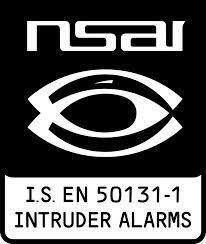 Please Call Us today for more information on CCTV systems. TASK Security Systems will tailor a solution to meet your budget and needs.